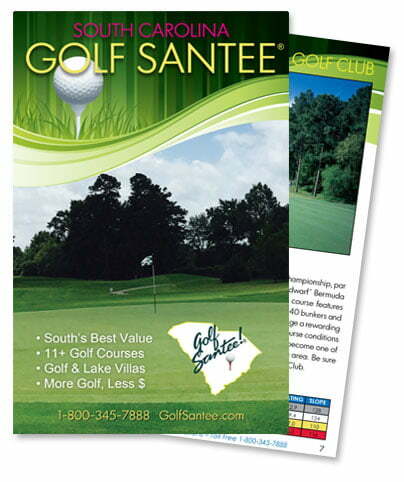 The selection of golf courses at Golf Santee! is unsurpassed, with your choice from over a dozen of the best-maintained courses in South Carolina, many located just a pitch shot from our accommodations. Download a printable version of our latest golf guide to take with you or look over with your friends. The guide contains information about all of the courses and accommodations as well as some great sample golf packages!